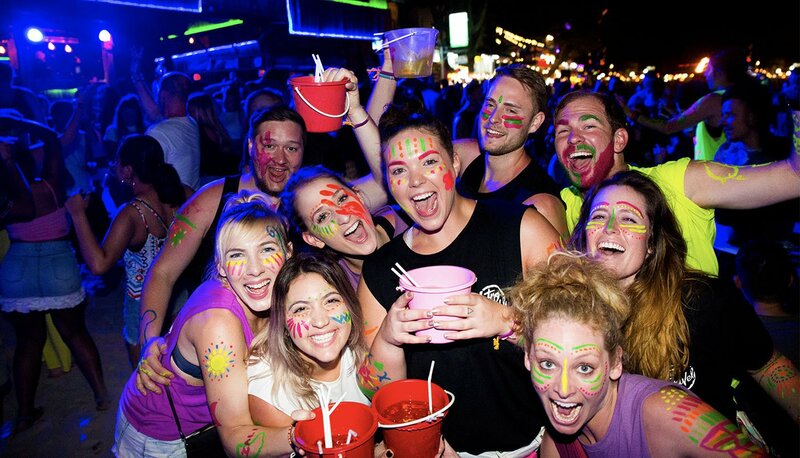 Experience crazy Bangkok nightlife, visit ancient temples, learn to cook delicious Thai food, sleep overnight on floating bungalows, go kayaking, snorkelling, chill out on beautiful beaches, party on the famous ‘full moon’ beach and more! Experience the best of Bangkok. 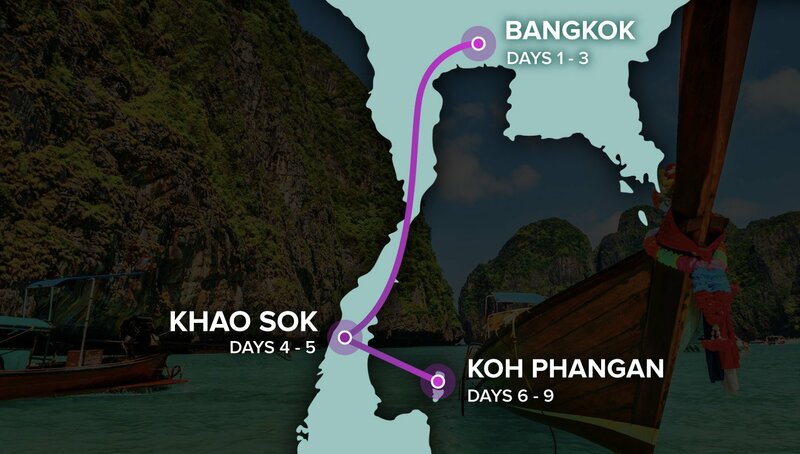 Discover ancient temples, fascinating culture, crazy nightlife and the secrets to cooking delicious Thai food. We'll then jump on the overnight train and head south to the rainforest! Learn the art of Muay Thai Boxing or relax with a private Yoga class. Then head out for a delicious farewell dinner and party on the beach. Your trip finishes on day 9. You can choose to stay on longer or continue your travels with our help and the new friends you've made! * Your accommodation will be a mix of either twin, double, triple, quad or multi-share rooms. 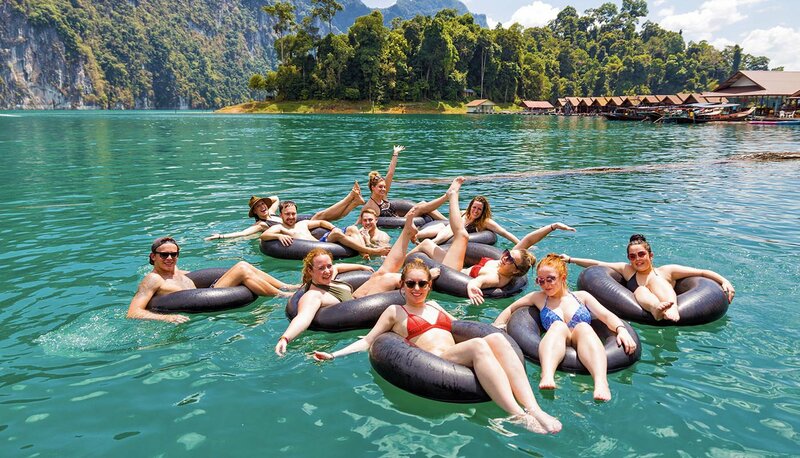 To download detailed trip notes of our awesome Thai Intro trips click here. Thai Intro has won Tour Radar's Worldwide 'Tour of the Year' award the last 4 years in a row! This award is based on customer reviews and was out of 8,000+ tours. Best trip I’ve ever been on. Our tour guide Sian made the experience even more incredible. 10/10 would recommend and do again. Fantastic way to experience the country. Sian was incredible, always available to help, and invested in our group getting the most out of our travels. Good range of activities, managed to fit lots in without being rushed. Richard is hilarious and made sure we didn’t worry about anything!